People often ask how I always have the time to constantly post on my clients’ social media platforms. I use my Social Media Content Calendar, where I can plan ahead my content. And I’ve decided to share it with you! 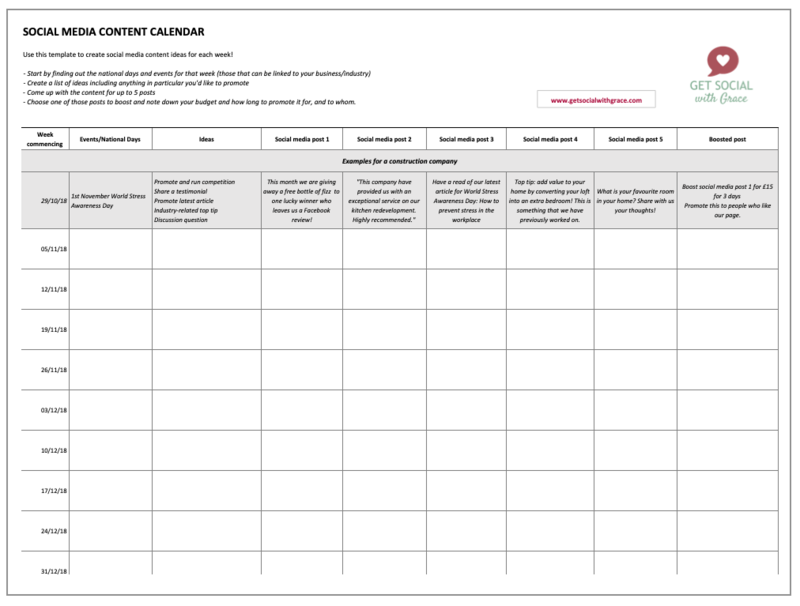 Use this template to create social media content ideas for each week.